Beginning September 14, Universal Orlando Resort and Universal Studios Hollywood will bring Legendary Pictures' cult Halloween classic Trick 'r Treat to life in all-new Halloween Horror Nights mazes that dare guests to live by the rules or suffer the consequences. Based on the critically-acclaimed and fan-favorite movie, directed by Michael Dougherty, the Trick 'r Treat maze will transport guests to Warren Valley, Ohio on Halloween night to celebrate the holiday's dark traditions. Recreating some of the anthology's most iconic scenes, the disturbing new maze invites brave thrill-seekers to become entwined within the secrets of this sleepy suburban town. Guests will experience some of the film's most grisly scenes and encounter hauntingly familiar characters. They will meander through Mr. Kreeg's infamous house, watch as college students viciously transform into bloodthirsty werewolves and dismember the town, as well as come face-to-face with Sam - the spirit of Halloween - who readies to punish those who break the holiday's tradition. Related: 5 New Clips from Trick 'r Treat! Universal Studios' Halloween Horror Nights is the ultimate Halloween event. For more than 25 years, guests from around the world have visited "Halloween Horror Nights" in Hollywood and Orlando to become victims inside their own horror film. Multiple movie-quality mazes based on iconic horror television shows, films and original stories come to life season after season. And, the streets of each coast's event are transformed into highly-themed scare zones where menacing scare-actors lunge from every darkened corner. Additional details about Universal Studios' Halloween Horror Nights will be revealed soon. Select tickets and vacation packages for Universal Orlando's Halloween Horror Nights are on sale now. For more information about Halloween Horror Nights at either Universal Studios Hollywood or Universal Orlando Resort, visit HalloweenHorrorNights.com. 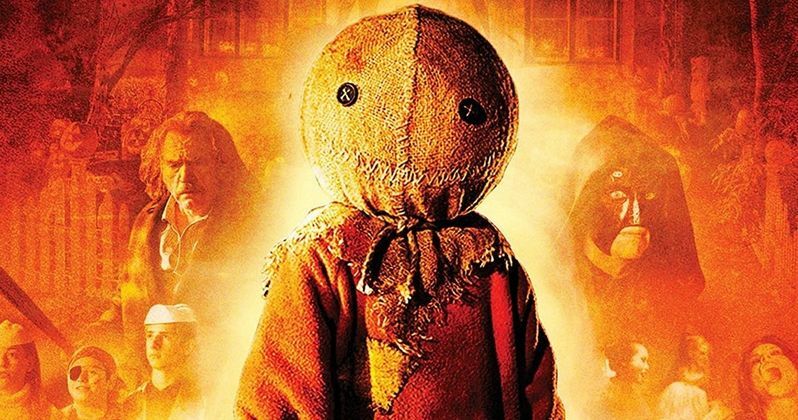 Is Trick 'r Treat 2 Finally Happening Soon? Trick 'r Treat 2 Officially Coming Soon!